Based in Brighton, we are Denes Chartered Surveyors. We offer a fast, friendly and reliable chartered property surveying service carried out by RICS registered chartered surveyor Raquel Snajdar BSc (Hons) MRICS. We are a RICS regulated professional chartered surveyors with many years’ experience in the industry, giving us an in-depth and endless knowledge of every type of property survey. At Denes Chartered Surveyors, we specialise in providing a RICS Homebuyer Report and a RICS Building Survey. You’ll have peace of mind knowing we carry out quality and professional surveys to locate any hidden defects. We’ll then present our findings in an in-depth report and explain anything you’re unsure of. At Denes Chartered Surveyors, we are proud to offer our RICS registered home buyers survey in Brighton and the surrounding area. Our homebuyer report will be suited for properties that are older than 80 years, still remain in good condition and haven’t had any structural work carried out. A RICS registered chartered surveyor will examine the condition and structure of your property, searching for hidden defects and damages. Common issues we usually find during a homebuyer survey are asbestos, structural movement and damp. Once we’ve completed our examination, we will present our findings in an easy to read report and offer our expert advice on the issues found. 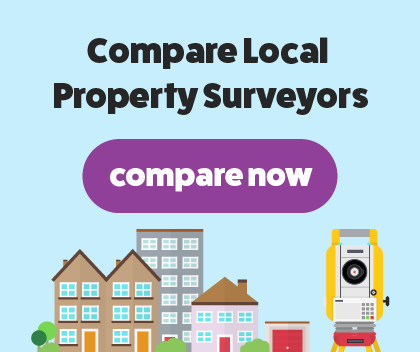 Our RICS structural survey will offer a more in-depth examination and report than our homebuyer report. We will assess your property’s structure and condition by looking at your house thoroughly, behind furniture and underneath floors. We will thoroughly search the interior and exterior of your property, highlighting minor and major defects. We will provide your property’s condition with a rating, depending on how much repair work is needed. A RICS registered chartered surveyor will offer their expert opinion and advice on the condition of your property. What is a Homebuyers Survey? What is a Building Survey? What is a Valuation Survey?